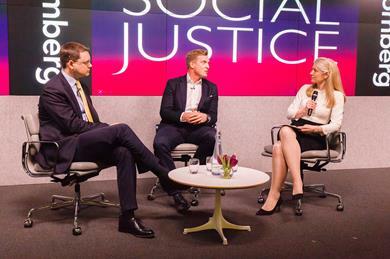 Earlier this week Iain Duncan Smith delivered the first annual CSJ Founder’s Lecture at Bloomberg’s London HQ. In a wide ranging speech on social justice Iain Duncan Smith talked passionately about the importance of work as a route out of poverty and the need for a more “human” welfare system. Reflecting on his time in office, Iain Duncan Smith said the introduction of the Government’s ‘life chances agenda’ had changed the narrative on poverty. On the day the Government’s Welfare Reform Bill reached its final stages in the House of Commons, Iain Duncan Smith used his platform to argue for a “truly compassionate approach” to fighting poverty contrasting this with the “failed social experiment” which saw almost one and half million people spend “9 of the last 10 years on benefits”. Iain Duncan Smith condemned the old measure of child poverty which is now being swept away by Government welfare reforms. 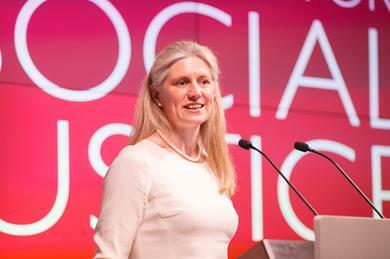 These reforms, bedded in historic CSJ thinking, will now redirect Government poverty measures away from an approach narrowly focused on income to one that concentrates on the root causes of poverty. 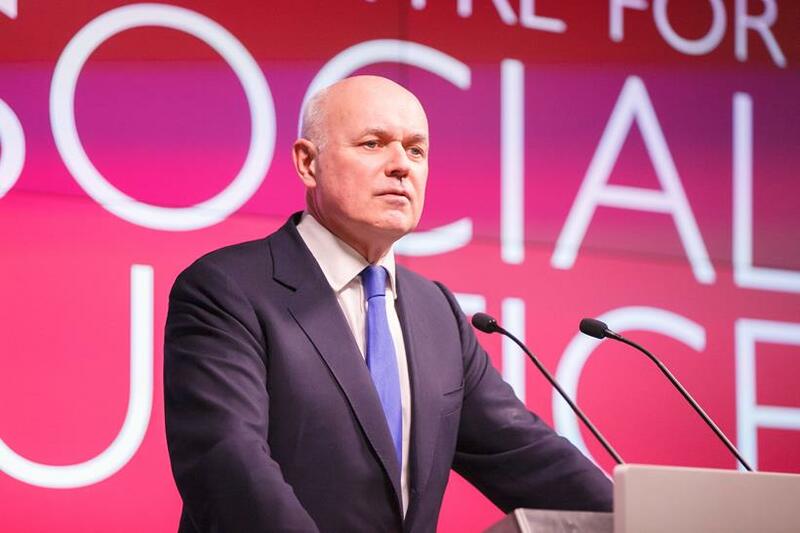 Turning the spotlight to his own Party, Iain Duncan Smith praised the Prime Minister for delivering the “most pro social justice speech of any Prime Minister in living memory” and ensuring every Minister was committed to the Government’s poverty fighting agenda. Outlining the next chapter in Government welfare reforms, Iain Duncan Smith identified the need for a “rigorous and thorough framework for measuring the extent of Britain’s social problems”. In a week dominated by Europe, this was a reminder that social justice remains at the heart of the Government’s agenda. 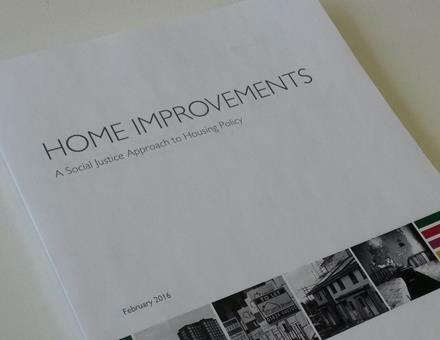 Following the publication of our report, Home Improvements the Centre for Social Justice is calling on the candidates for London Mayor to put a London-wide Social Lettings Agency at the heart of their election campaigns. For many low income families living in London, many potentially affordable homes are simply made unavailable through landlords unwilling to let their properties. One survey of landlords with properties affordable to those on a low income found that 25 per cent were not willing to rent to Housing Benefit tenants in employment, and 43 per cent were not willing to take workless Housing Benefit claimants. Of those in the study who were not willing to rent to tenants on Housing Benefit, 55 per cent cited the higher risk of getting a difficult tenant, and 54 per cent cited the higher risk of tenants not paying their rent. With a chronic lack of social housing across London, many low income families are forced into the private rented sector in accommodation that is often far below Government standards. This has a big impact on the stability of family life for some of our poorest families. In our report, Home Improvements, we point to Social Lettings Agencies as a solution to this problem. Social Lettings Agencies can provide security to landlords by guaranteeing rent is paid even if the tenant is in arrears or there is a gap in tenancy while spreading risk across a large portfolio of properties. As a result, they enable landlords to rent to those on Housing Benefit and can offer secure tenancies to those on low incomes. For a Government committed to providing a more ‘human’ welfare system Social Lettings Agencies also provide a template for helping potentially vulnerable tenants through specialised one to one support, helping them maintain their tenancy. In recent months, both Zac Goldsmith and Sadiq Khan have pledged to put housing at the forefront of their campaigns for London Mayor. The CSJ calls on the two candidates to commit to launching a London wide Social Lettings Agency to ensure London’s housing crisis no longer hits the poorest hardest. 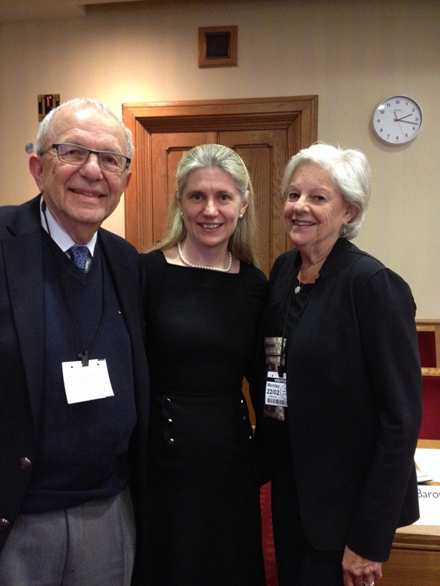 Earlier this week Philippa Stroud hosted Professors Cowan and Cowan from Berkeley, University of California, Berkeley for a seminar on parenting support programmes. During this discussion held in the House of Lords, Cowan and Cowan outlined their latest research with a clear message around the importance of including fathers in parenting support services. The Cowan Professors have been brought to the UK by the Tavistock Centre for Couple Relationships to highlight the role of parenting and couple support programmes in improving outcomes for children following over thirty years of research in the United States. During their visit they will meet with Government officials to explain their work and set out how the Government could import successful models of parenting and couple support from the United States. The Government should listen carefully and ensure that a new approach to engaging with fathers becomes a central theme of the Life Chances Strategy. With the first anniversary of the Modern Slavery Act fast approaching there remains a significant challenge in raising awareness and identifying victims of modern day slavery. The passing of this Act was a landmark moment and led to the creation of an Independent Anti-Slavery Commissioner. In this role, Kevin Hyland has committed the UK to improving the identification rate of victims. In 2014 only 2,340 suspected victims were referred to the National Referral Mechanism in 2014 out of an estimated 13,000 victims of modern slavery in the UK. Hyland has said he will work with public authorities and health agencies to do more to identify victims of human trafficking when they come into contact with Government bodies. If we are going to increase the number of prosecutions we need every arm of Government to support Kevin Hyland in his efforts to raise awareness and identify potential victims. The Modern Slavery Act is one of the Government’s great achievements, to make it truly historic we need to stamp out modern day slavery once and for all. Enfield Southgate MP David Burrowes is pressing the Chancellor to target the Government’s Marriage Allowance in response to a new statistics which show only 8% of those eligible to claim the allowance had done so. There is a strong case for a rethink. There is still a disincentive in the welfare system for couples to build long term stable families. Whilst the Government has gone some way to addressing this within its Universal Credit reforms some working couples can still receive more living apart than together. The Government should consider refocusing the Marriage Allowance to target low income couples with children under five. This allowance should be significantly higher than the current level of £4.07 per week and targeted to couples where additional weekly income can make the biggest difference. George Osborne can do his bit to help low income couples with young children maintain strong relationships by giving David Burrowes’ idea some serious thought.